The most common definition of a brand that I hear is: “A brand is a name, sign, symbol, slogan or anything that is used to identify and distinguish a specific good (product), service, or business” This comes from the respected American Marketing Association. The problem is that this definition belongs to an era of limited competition, limited choice and limited knowledge of consumers. 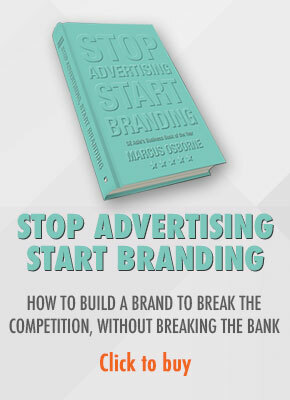 In the mass economy that no longer exists, it was relatively easy to build a brand and your brand could easily become the name, in your category, on everyone’s lips. And it got to this position by mass advertising via mass media. 50 years ago, a good ad on prime time TV was enough to get someone to write a brand name down and ask for it at the department store the next day. Quite often, even if the product was unable to deliver value, consumers would still buy it, quite often because they didn’t have a choice or because they were less demanding, and willing to put up with poor quality. In some cases consumers believed they were wrong and the product was good so they continued to buy it. Today consumers are far more knowledgeable and much more demanding. They have more choice and there is more competition, especially for consumers attention via mass marketing channels. Moreover, a lot of those products with their flashy names, creative symbols and signs have lied to consumers in their slogans and consumers have been let down. It is no longer enough to tell a consumer your product is the best. If they are let down they won’t buy it again. Instead, they go elsewhere. 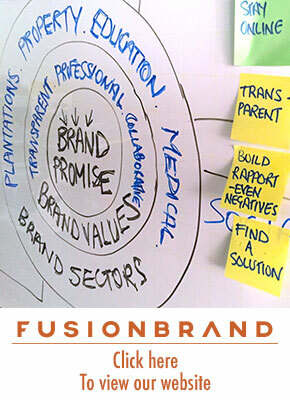 Today, to build a brand requires a comprehensive investment in organisational excellence. Building a brand is no longer a creative exercise or a communications exercise to differentiate a product. And the key metric must be profitability. At this stage, most articles give an example of Nike, Coke, Apple or a similar brand. But these companies are exceptions and I’ll explain that in another article. But this time I am going to use Apple as an example because they have adopted their brand better than most. Apple is a brand but 15 years ago the name, logo, etc that differentiated the good/product was not helping the company gain market share in the computer business. In fact, I wouldn’t be surprised if they were thinking of changing the name. But instead, what happened was a massive investment in operational excellence, R&D, purchasing, supply chain, distribution and strategic alliances in manufacturing, etc plus a complete overhaul of sales processes, customer service, a huge stroke of luck and later, an investment in clever creatives. The result, the ability to match product attributes to give consumers economic, experiential and emotional value that has built a global brand. I would say that the ads didn’t build Apple, it was the investment in R&D, organisational excellence and a lot of luck. Another example is PAN AM. PAN AM had a great name, nice logo and spent a lot of money on mass marketing. I’m sure we all remember the tagline “PanAm. We’re flying better than ever”. Where is PAN AM today? PAN AM doesn’t exist. So the next time someone says a brand is “A brand is a name, sign, symbol, slogan or anything that is used to identify and distinguish a specific good (product), service, or business” Ask them how many products they buy because of the name. « Should destinations brace themselves for a brutal summer?